Apple’s iOS 7 has now been available for general use for several days, and there are some notable benefits from the operating system update. Today we have two videos that very clearly explain about the iOS 7 Control Center and also the Notification Center. Many of us are starting to get used to the many changes and improvements as well as the new look with iOS 7, but it can be difficult to take it all in at first. iOS 7 is compatible with many existing iOS devices, and also with the just-released iPhone 5S and 5C, so there will be plenty of people trying to come to grips with the updated operating system. A few days ago we shared some videos with readers that neatly and succinctly described the Airdrop and Multitasking features. 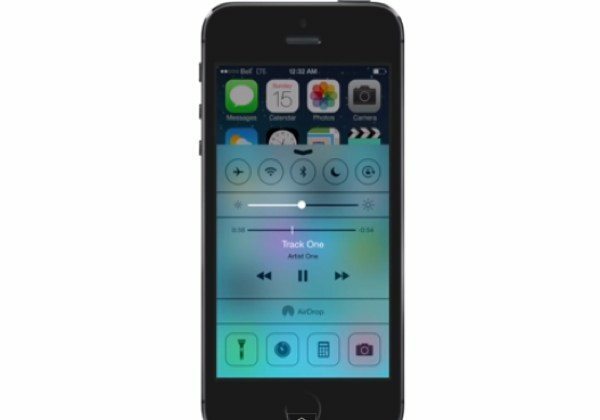 These were so popular that we thought we’d also share today’s videos about the Control Center and Notifications. We have embedded two short videos below this story about these features. The first is a two-minute YouTube video about the Control Center with iOS 7. This is an excellent improvement to iOS and will give users instant access to the camera, timer, audio playback controls, Airdrop and Airplay. Users can also adjust brightness, turn wireless services on and off and much more, all from one handy hub. The video clearly shows how to open up the Control Center with a swipe upwards on the screen and then details the many functions available from it. The second video below is a brief look at the improved Notification Center. This informs users about missed calls, new mail, and much more and now has a Today feature. Users will only need to take a glimpse at their iPhone to get a look at the weather, what the traffic is like, and whether someone you know has a birthday. The video shows how to access the Notification Center by swiping down the screen and also details the three tabs available, Today, All and Missed. The latter gives details of alerts you haven’t yet dealt with, such as messages or missed calls. If you’ve already updated to iOS 7 then we hope that you are getting to grips with all the changes, and that these videos will be useful to you. There are some people though who have updated to iOS 7 and are having problems, and also some who have updated and don’t like the new appearance of the revamped operating system. Overall though, we feel iOS 7 is a much-needed revamp, with some great new features and improvements. What are your thoughts on iOS 7? Are you happy with the new design? Are you pleased with what is offered by features such as the Control Center and Notification Center? Let us know with your comments.